As the world's population grows, land and water management policy and practice have a direct impact on our capacity to secure our food, water and the environment. At La Trobe we will use our world-class facilities and expertise in agricultural biotechnology, ecological science and water policy to help address the challenges. 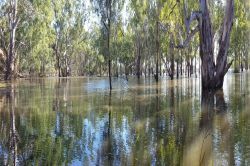 Our work directly supports decision-making regarding maintenance and restoration of the long-term health of rivers, catchments, ﬂoodplains and wetlands and is founded on a history of research under the auspices of the Murray–Darling Freshwater Research Centre. The Research Centre for Future Landscapes (RCFL) was established in 2017 and is a multi-disciplinary environmental research centre based in the School of Life Sciences. Our goal is to generate knowledge and solutions that address the global challenge of sustaining and restoring natural ecosystems in modified landscapes, and empowering people and communities to create more sustainable landscapes. land-use planning and management options for people, communities and future landscapes. the management of these ecosystems in response to climate change. In addition to our active research program, the Research Centre takes a leading role in teaching alpine ecology to land management staff, research students, and members of the public with an interest in alpine ecosystems, through the Alpine Ecology Course which is held most summers at Falls Creek. 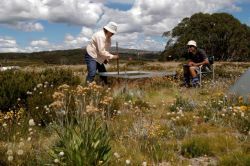 To enhance plant biotechnologies to build technological innovations to aid Australian agricultural innovation. promoting community and enterprise development.